Set alongside the glacial lake of the same name, Bled is a resort town at the foot of the Julian Alps. The area offers many opportunities for sport and relaxation, from watersports on the lake, to hiking, cycling, fishing, climbing and much more there is something for everyone, including an adventure park for younger guests. The lake is also famous for its much-photographed island, upon which sits the 17th century church of the Assumption. While it is possible to swim there, if you want to visit the church then take a trip on a traditional wooden boat called a 'plenta'; after climbing the 99 steps up to the building visitors can ring the bell in the clocktower 3 times to make a wish. Nearby Vintgar Gorge and Triglav National Park are both well worth a visit during your stay, as is the neary Slovenian capital Ljubljana – just half an hour away by car. Good to know: The town is most famous for its “kremšnita” cream cakes but in recent years has seen a huge influx of top chefs setting up gourmet restaurants throughout Bled. 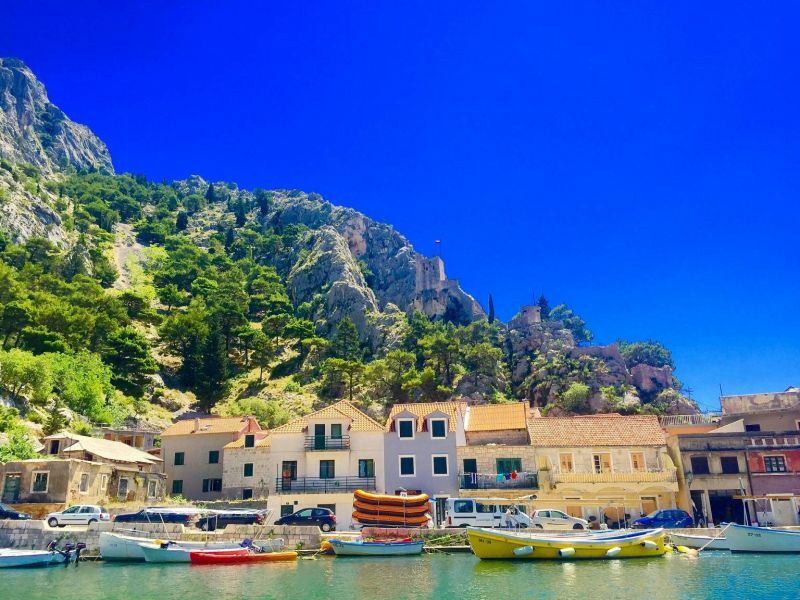 This small seaside town on the Dalmatian coast is located at the mouth of the Cetina river where it flows into the Adriatic Sea, surrounded by towering gorges. Just 45 minutes south of Split airport, it is convenient for a short break but is not as well known as other towns along the coast. Famous locally as a one-time pirate's haven, the town is a popular adventure holiday destination thanks to its unusual geography. You can zipline across the gorge, go white water rafting and canyoning, and enjoy other activities like sea kayaking, diving, climbing and hiking. There are a number of cafes, bars and restaurants around the old town and near the public beach where you can eat mouth-watering fresh seafood. Top tip: Go ziplining across the 2km wide gorge – amazing views and so much fun! A small resort and market town located roughly halfway between Valencia and Alicante on the Costa Blanca. The Montgo mountain provides a dramatic backdrop to some of Spain's best beaches and the town offers a lively nightlife with lots of bars and restaurants. The town can be divided up into three parts, the charming old town, the port and Arenal beach. The old town is full of narrow winding streets and has a bustling food market. The port is still a working fishing port with a lovely promenade, lots of great seafood restaurants and fantastic views across the bay. The Playa del Arenal area where most of the hotels can be found also offers many places to eat and drink, with the most expensive to be found along the seafront and more reasonably priced places set further back. Top tip: hike to the the 'miradors' or lookouts dotted around the surrounding hillside offering superb panoramic views. The only region in Italy with no coastline or international border. Instead it offers beautiful rolling hills, ancient hilltop towns and excellent cuisine and wines; all in all much like Tuscany but without the crowds. Lake Trasimeno is a popular destination with Italians trying to escape the heat of the nearby cities, ringed by medieval fortress towns, olive groves and vineyards. Close to the border of Tuscany, wine lovers can pop over to visit Montepulciano and Montalcino. Good to know: Try the Sagrantino DOGC wine, a rare grape variety grown only in this region – full bodied and highly tannic, you will want to take some home! Finland is a country of vast open spaces, lush forests and crystal-clear lakes with a lower population (5.5 million) than that of London! The capital Helsinki is a vibrant, fun city to visit thanks to its innovative architecture, cultural scene and lively nightlife, especially in the summer. Thanks to its relatively small size, it is easily explored on foot. It is a likeable, laid-back place and often overlooked in favour of other Nordic capitals like Stockholm and Copenhagen. Heading outside of Helsinki you will encounter quiet country roads, thick forests and small traditional villages with their characteristic wooden houses. Highlights include Tuusulanjärvi Lake, traditionally an artist’s colony, and the town of Porvoo (pictured above), one of Finland’s prettiest. The Viikki arboretum and bird sanctuary on the outskirts of Helsinki is also great for nature lovers. Top tip: Head to a sauna, an important part of Finnish culture, like the historic Yrjonkatu Swimming Hall. So there you have it, if you have any suggestions then please let us know in the comments!